2019 Fair Date: July 13! If you would like to have a craft booth at our fair, download the following forms and fill them out, email or mail to the address on the forms to reserve your spot. If you have any additional questions, feel free to call the Church office 401-635-8472 and we will put you in touch with our Craft & Vendor team. Held at the back of the White Elephant/Books tent (behind the church) in the early afternoon. We have a wonderful jewelry table at the Fair! Located on the front patio of the main entrance of the Church, come find your next glam piece! If you are interested in donating they can be brought to the Church office Tuesday - Friday 9 am - 3 pm. This year at our Church Table we will have prints of the Church, Rada Steak knives, Hats and T-shirts and more. Come early because the knife sets always sell out! 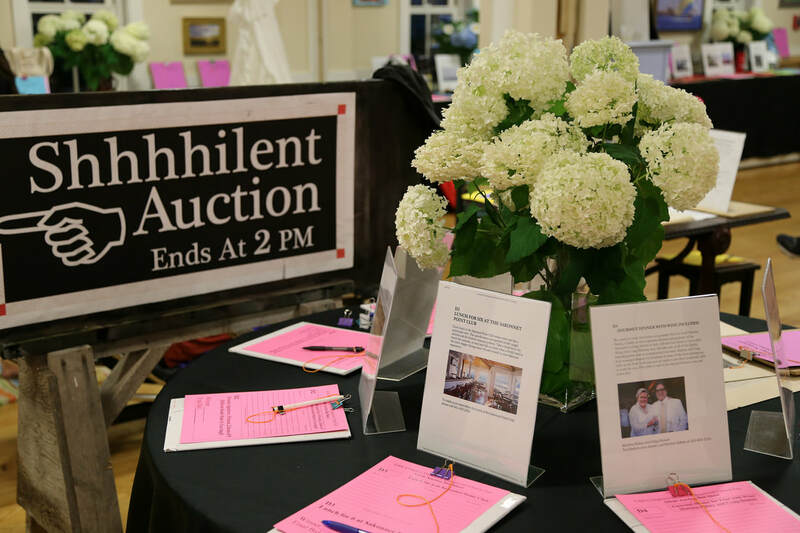 ​If you have an item to donate to our Silent Auction, please contact the Church Office by email or at 401-635-8472. Click Here for a Sneak Preview of some wonderful Auction Items! ​Donations can be delivered to the church vestry on Tuesdays, Wednesdays, or Thursdays from 9:00 am - 12:00 pm or Sundays after worship. If that time is inconvenient for you, you may call the church office during office hours to make other arrangements at 401-635-8472. All items need to be in great shape and clean. Here's a list of what we cannot accept. Be sure to bring children of all ages to have fun in the children's tent and beyond. There will be face painting, games, a bouncy house, dunk tank, and more. Outside the tent will be ice cream sundaes, food vendors featuring Little Compton Restaurants and Caterers, and of course cotton candy and slushies! A special tradition is to get a lobster roll on Fair day. You can purchase tickets at the main door of the church on Fair day. Check back for the full menu. Yum! Our Bake Sale table always sells our fast! Be among the first to check out the great food. The Bake Sale table can be found in the White Elephant and Books Tent. If you are interested in contributing to the Bake Sale contact Marsha Riccard 401-487-5340.